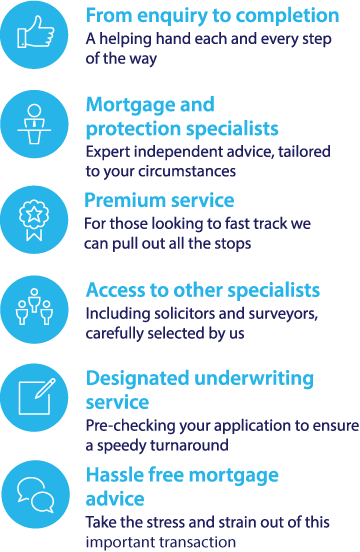 Specialist Lenders - We have lenders who will consider interest only, complex income, unusual properties, lending in retirement, short term finance. Compare latest large mortgage loan deals - use our mortgage tables below to see a selection of market leading mortgage deals - alternatively if you need advice - call our independent mortgage team on 0117 313 7780. If you are seeking a large mortgage loan worth over £1 million, you may discover that the average mortgage lender does not have the means mortgage loans that are in excess of this number. First of all, they may not possess a prior history of lending at this amount and may not be in a position to procure you a satisfactory larger mortgage loan. In addition to this, providing a large mortgage loan to just one person is seen as opening up a larger financial risk to a lender than granting the corresponding amount in separate sums to a handful of people. Why use the services of a large mortgage loan broker? Large mortgage loans at values that are extremely laborious to get on the high street, beginning from £1 million and custom-made for your precise circumstances. Superior rates offered by a range of bespoke mortgage dealers. Residential, buy to let or commercial large mortgage loans obtainable. Established network of high value mortgage lenders – A specialist large mortgage loan broker may have a wide-ranging network of contacts to help you get the mortgage you want, including private banks and specialist mortgage dealers. A familiarity with your individual financial circumstances – whether you are hoping to buy in the UK from abroad, have earnings in a blend of different currencies, or are a non-domiciled UK taxpayer, a specialist large mortgage loan supplier may be able to help you find the mortgage deal that works for your situation. Tailored support from day one - By arranging skilled independent mortgage advice and administrative support throughout the mortgage process, a quality large mortgage loan specialist can help to make buying a new property straightforward and easy. The opportunity to acquire large bridging loans to help you finish a property acquisition if your exchange on a property that you are selling falls through or is delayed. A track record of assisting high value clients to best show their diverse income streams and finances as a prospect that is most approachable and beneficial to potential mortgage lenders. The adaptability you want – many large mortgage loan providers are prepared to offer a great deal of flexibility to their high value clientele, and a specialist mortgage broker could help you negotiate a mortgage bundle with the flexibility you need. What information may be taken into account by lenders when offering a large mortgage loan? Income and assets – if you are a high value client then you may have an above-average but unconventional income as opposed to a normal job. A specialist large mortgage loan dealer may be able to help you to present your financial circumstances assets in a way that is the most appealing to your panel of potential mortgage providers. Residence or citizenship status – Many high net worth borrowers are non-UK citizens, have extensive financial interests overseas, or are non-domiciled for tax reasons, all which can make a difference to the mortgage application process. A good mortgage broker who specialises in large mortgage loans will be able to guide you through the application process and get the best deal for you. Your planned repayment structure – Many large mortgage loans are available on various repayment plans such as standard capital and interest repayment, interest only, part and part, or offset. As a high value borrower you may find that lenders are willing to be especially flexible regarding repayment terms and methods. What kind of property you wish to purchase – Just as with smaller mortgages, mortgage lenders for large mortgage loans will want to be absolutely sure that the property you are purchasing has the potential to be resold in the future. As a large mortgage loan borrower it may be more likely to be the case that you are seeking to borrow on an unconventional property such as an architect-designed residence or a listed structure. Speak to our specialist team to help you find the right mortgage option for you - Call 0117 313 7780 or request a callback.